Xiao became the first Asian graphic designer to earn a Grammy nomination for best recording package in 2005 for "The Wandering Accordion (飄浮手風琴)" by composer Wang Yan-meng (王雁盟). He was nominated once again in 2019 for "The Offering (祭)" by The Chairman (董事長樂團) band. Xiao Qing-yang is an acclaimed designer and a five-time Grammy nominee for best recording package. Since 1986, he has designed more than 1,000 album packages for Asian pop and indie singers and bands. In addition to album design, his works span book packaging, product design, and installation art. He has previously served as a judge for the Grammy Awards, Independent Music Awards, and Japan’s Unknown Asia. When Xiao was young, he used to visit the record shop across his home every day to listen to Western music and explore the connection between artists and their album covers. After finishing studying fine arts at Fu-Hsin Arts and Trade School, he entered San Ger Record & Tape to work as an art designer. Later Xiao embarked on his career as a recording package designer upon finishing military service. He established a studio with his friends, and has since been engaging in designing album covers and packages for numerous Asian pop singers. During the heyday of Hong Kong pop music in Taiwan, Xiao closed the studio to try a different career path as he didn’t want to follow the trend of using singers' portraits as album covers. After working as a chef for a few years, however, his passion for design brought him back to the music industry. Xiao then collaborated with the newly established Magic Stone Label Company, which focused on promoting young and indie singers. From 1995 to 2002, he had designed album covers for several indie singers under the label, such as Faith Yang (楊乃文), Cheer Chen (陳綺貞), and Sandee Chan (陳珊妮). Following his first Grammy nomination in 2015, Xiao later earned another two nominations for best boxed or special limited edition package and best recording package for electronic opera album "White Horse (我身騎白馬)" and "Poems & Songs (甜蜜的負荷─吳晟詩誦與詩歌)," respectively in 2008 and 2009. In addition, Xiao won a Reddot Design Award and an Independent Music Award in the following two years for "Story Island (故事島)," a travel-inspired music album by Golden Melody Award-winning composer Lee Cincin (李欣芸). To create designs tailored to each artist, Xiao notes that he listens to the music first and thinks about the sentiments behind each set of lyrics, before delivering the message or story through graphic design. Seeking personal development and breakthroughs, he has also viewed over ten thousand record covers and packages from across the world. 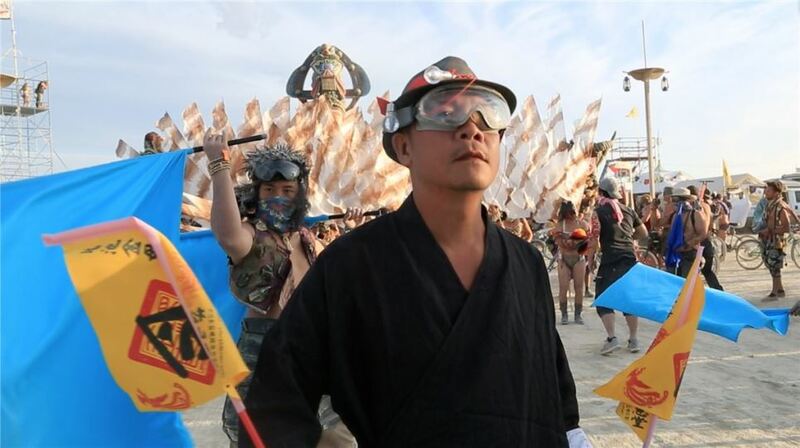 Instead of working in a studio, Xiao now makes the world his studio by traveling around the world and attending concerts, exhibitions, or festivals such as Burning Man with his laptop to capture new ideas and inspirations. He is currently the artistic director of the Ministry of Culture's Taiwan Comic Base, a four-storey building hailed as the nation's first-ever comics headquarters. Visitors Today:76. All Time Visitors:1,229,883.